Providing you the best range of high speed gearboxes, double output gearbox, double output gearboxes, work roll drive gearbox, flattener gearbox and gearbox with effective & timely delivery. High Speed Gear Boxes offered are made available by us in precision designed and constructed finish so as to deliver optimum process support to high production requirements of rolling mill plants. 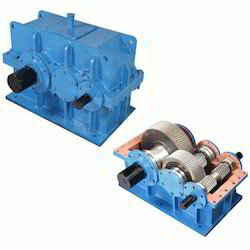 These gear boxes feature accurate design standards and come with gears manufactured with special material so as to provide for high speed operations. With pour expertise in offering a wide range of high speed gear boxes, we ensure these are perfect to be applied at continuous stands in rolling mill plants. Further, all gears as well as shafts come in hardened and optimum grinded finish so as to provide for longer service life as well as for continuous performance. 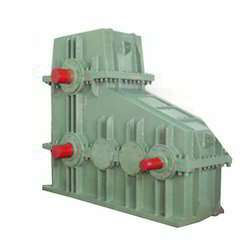 For reasons of quality maintenance, the offered Double Output Gearbox is manufactured in compliance with the set industry norms. Priced at the most reasonable rate possible, the offered range has a high preference in the market. Manufacturing of this product involves the utilization of high grade raw materials and modern machines, ensuring its sturdiness and durability. 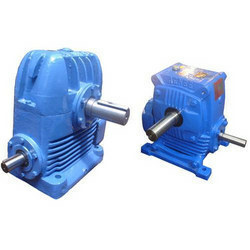 We are considered in the market to be one of the leading manufacturers and suppliers of this commendable Double output Gearboxes 4HI. Manufactured in compliance with the set industry norms and guidelines, its quality never deteriorates. In addition, the offered product is marked at the most reasonable rate possible, making it highly asked for. 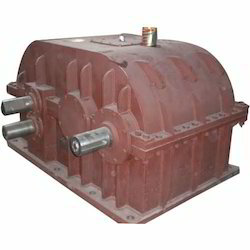 The offered Work Roll Drive Gearbox manufactured and supplied by us, is widely acclaimed for its superior sturdiness, high durability, commendable dimensional accuracy, fine finishing and unmatched resistance to corrosion. For the purpose of maintaining its quality, we abide by the set industry norms and guidelines. In addition, the offered product is marked at a market leading rate. For the purpose of making the finest Straight Gearbox available in the market, we engage in the utilization of high grade raw materials and modern machines, in compliance with the set industry norms and guidelines. Owing to this, the offered range is known to have a superior durability, finishing, sturdiness and resistance to corrosion. 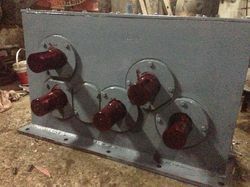 For the purpose of providing the finest Gearbox to our clients, we engage in the utilization of high grade raw materials and modern machines, in compliance with the set industry norms and guidelines. 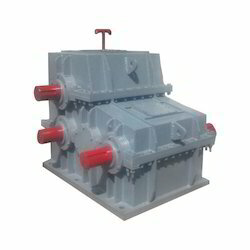 Owing to this, the offered product Gear Box is known to have a superior sturdiness, durability, resistance to corrosion, dimensional accuracy. Further, its quality never deteriorates.